Which 11 SUVs are the best 2015 crossovers? Crossovers are SUVs that are built like cars. Their body and frame is a single unit; the industry term is “unibody.” By contrast, traditional SUVs ride a truck-like frame to which the body is bolted. Crossovers can’t match body-on-frame SUVs for towing or heavy-duty hauling. But they’re lighter so they use less fuel and they ride and handle more like, well, cars. With a tall ride height, good cargo volume, and available all- and four-wheel drive systems, they offer SUV attributes without the SUV bulk. Listed least- to most-expensive, here are the best model-year 2015 crossovers judged by overall excellence and value for the money. (Base prices include manufacturer destination fees, which average about $900.) For our top luxury crossovers and top traditional SUVs, see 11 Best Luxury Crossover SUVs for 2015 and 11 Best SUVs for 2015. Value-minded shoppers get a twofer with this one: the lowest-priced entry on our best-crossover list isn’t a cramped compact but a fairly roomy midsize wagon. 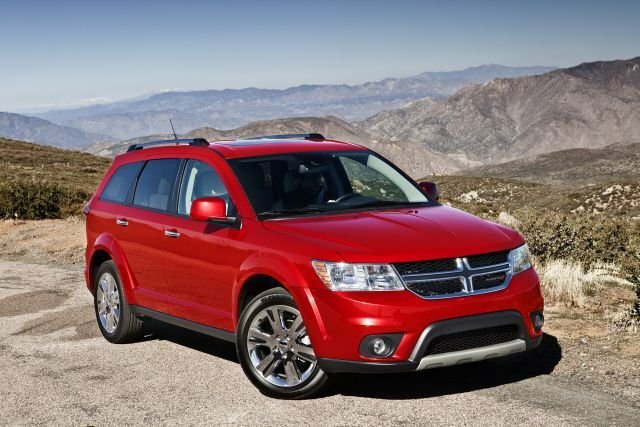 The Dodge Journey’s focus on family friendliness at a bargain price is what earns it a place on this list. Flexibility is the name of the game, with Journey offering standard five-passenger and optional seven-passenger seating configurations. The lease expensive models have a four-cylinder engine, but we would recommend the spunky V-6 found in mid- and high-line versions. This motor is well worth its price premium for its smooth acceleration. Clever touches abound inside this crossover’s cabin. A pair of under-floor bins behind the front seats provide covered storage for valuables you want to keep away from prying eyes. Journey is also the only vehicle on this list to offer optional built-in child booster seats, which deploy from the second row backrests. A myriad of standalone and packaged options means you can customize one of these crossovers to your exact tastes. Feel free to splurge, though, as even loaded Journeys are not what you’d call expensive, particularly when compared with rival midsize crossovers. Sure, it might not match its competitors in terms of passenger and cargo volume or overall refinement, but considering everything it offers for the money, Journey is an outstanding choice in this highly competitive segment.